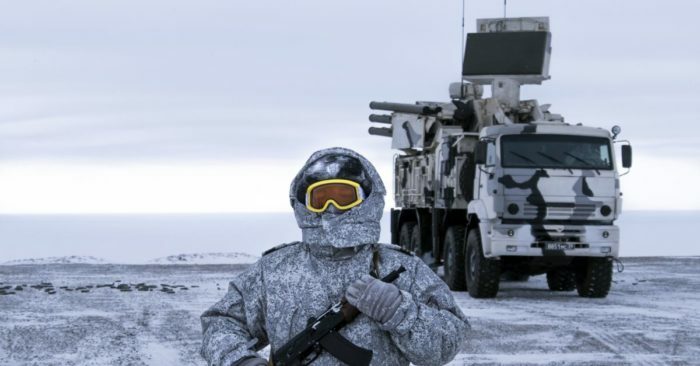 In this photo taken on April 3, 2019, a Russian solder stands guard near a Pansyr-S1 air defense system on the Kotelny Island, part of the New Siberian Islands archipelago located between the Laptev Sea and the East Siberian Sea, Russia. 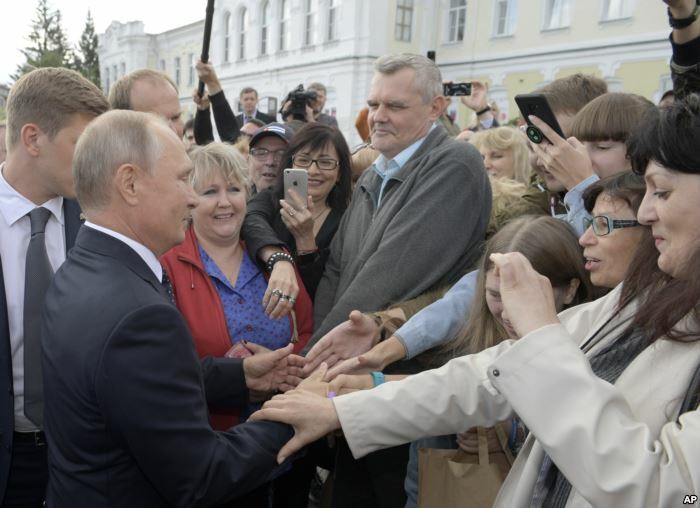 FILE – Russian President Vladimir Putin, left, greets local citizens in Omsk, Russia, Aug. 28, 2018. 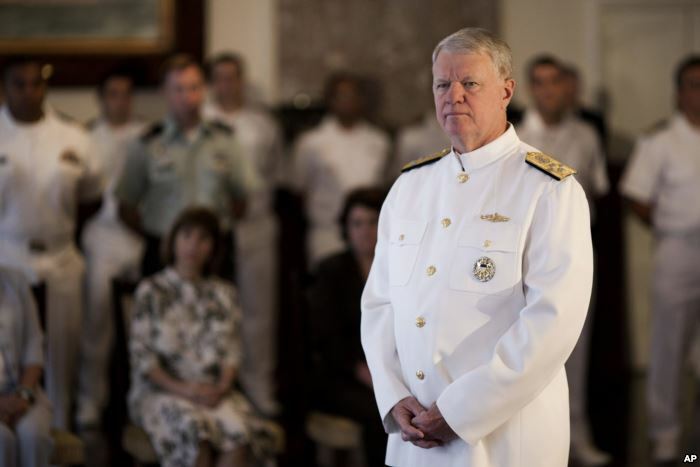 FILE – Retired U.S. Chief of Naval Operations Admiral Gary Roughead is seen in this 2011 file photo..